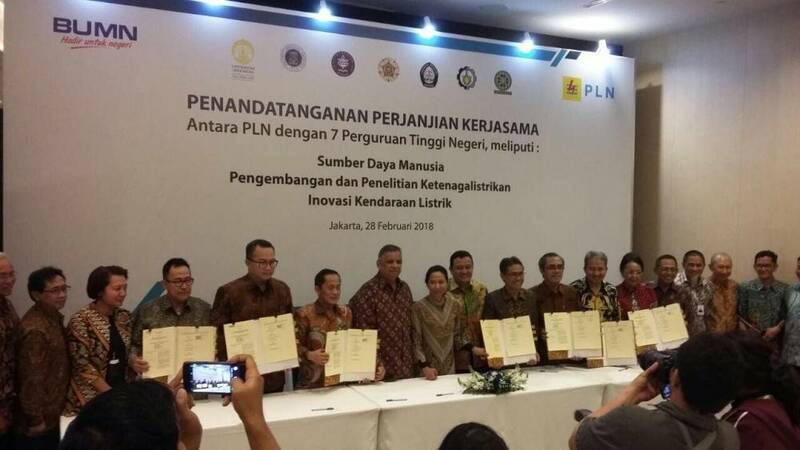 Jakarta - Wednesday (28/02/2018), the Signing of Cooperation Agreement between PLN with seven State Universities covers Human Resources, Development and Research on Electricity and Innovation of Electric Vehicles. 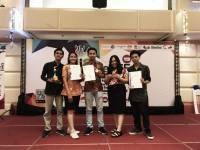 The seven universities are from Universitas Indonesia, Bogor Agricultural University, Bandung Institute of Technology, Gajah Mada University, Diponegoro University, Sepuluh Nopember Institute of Technology, and Udayana University. Rector of Unud, Prof. Dr. dr. A.A Raka Sudewi, SP.S (K) accompanied by the Dean of the Faculty of Engineering attended the cooperation signature witnessed by the Minister of State-Owned Enterprises (SOE), Rini Soemarno. Rini welcomes this cooperation, and encourages other SOEs to do the same, by involving more education, in order to realize the link and match of the world of education and business world in particular, and especially SOEs, in the real contribution of BUMNs present to the country. PLN President Director Sofyan Basir added that university innovation is awaited by PLN especially related to cheap New Renewable Energy (EBT) technology. 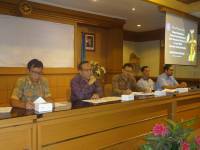 Platform PLN is seeking to have a generator of environmentally friendly energy while reducing fossil energy dependence.